LynxPM Online is a construction photo documentation & management program designed to simplify the way you upload, store & share images. Have the flexibility to manage your projects from anywhere in the world using any mobile device or PC with our hosted online subscription software. Interface all of your photos with all current applications & easily communicate your images to clients & owners. Need to host your own data? 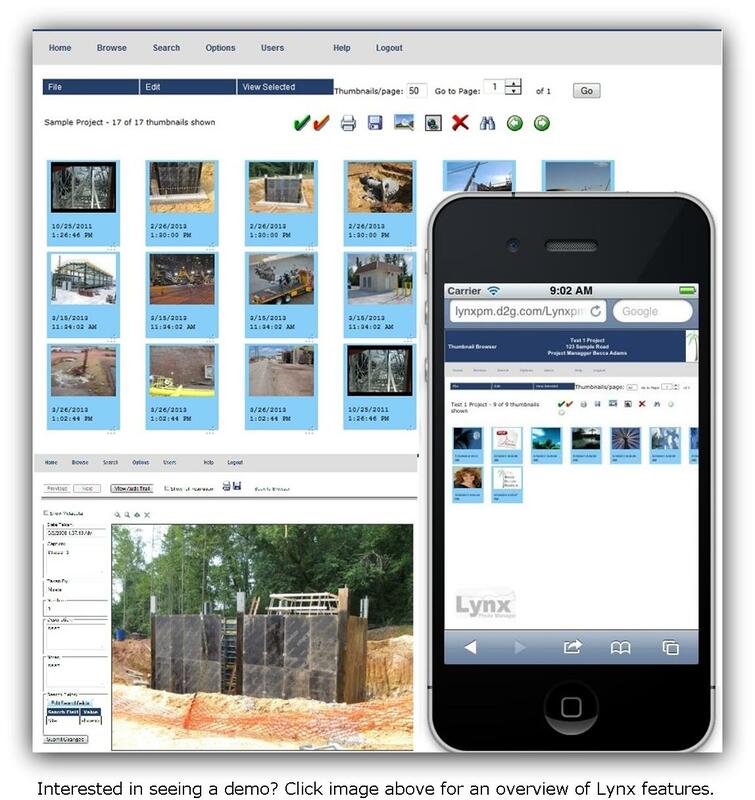 Learn more about Lynx Photo Manager in-house solutions.